We have been involved over the years in China, Republic of Czech, Jamaica, China (again), the Amazon Basin in Brazil, and Mexico as well as local minstries in Klamath Falls and throughout Oregon. 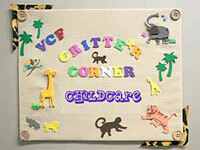 Click here for more photos of Critter Corner! Meets the 2nd and 4th Wednesday of the month at 6:30pm at various locations; contact us for more information!